Ishtiaq Ahmed narrates the story of one of the most traumatic events of modern Indian history – The Jallianwala Bagh Slaughter. ‘Official figures recorded 379 dead and 1200 wounded, but the real numbers were much higher’. Read to know the politics that surrounded the ghastly act of Brigadier-General Dyer, and the aftermath of the incident that played perhaps the most significant role in changing the course of Indian history. 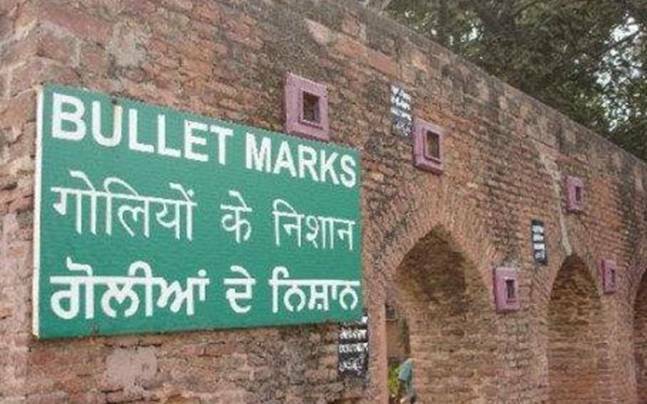 A hundred years ago on 13 April 1919 one of the most shameful acts of state terrorism took place at the Jallianwala Bagh, near the Golden Temple, Amritsar. That day a large crowd of several thousand had gathered it. Most of them were innocent villagers who were in town to take part in the Baisakhi festival completely unaware of the disturbances that were taking place in the city because of protests at British highhanded policies. 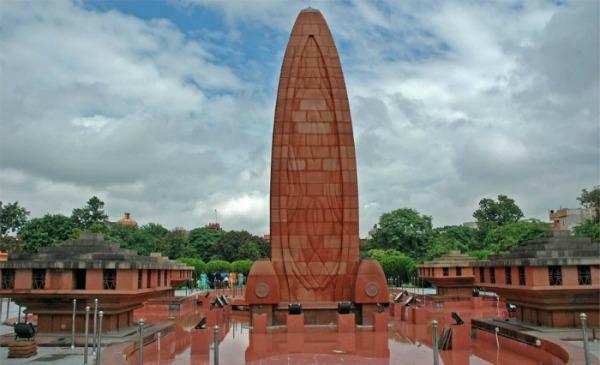 On that day Colonel Reginald Dyer order his 90 Indian troops – Nepali Gurkhas, Baluch Regiment (no Baluch served in it: it was Punjabi Muslims, Hindus and Sikhs) the 54th Sikhs and the 59th Sind Rifles soldiers – to open fire on the crowd inside the Jallianwala Bagh. The hail of bullets which followed killed several hundred. Among the dead were Hindus, Muslims and Sikhs. Amritsar and many other parts of the Punjab were volatile because of pent-up disappointment and frustration of the Indian people (who then included all communities) with the British Empire. India had contributed handsomely during World War I to the to the war effort. More than a million Indians had volunteered to join the British Indian Army. Of these, 450,000 were from the Punjab alone. The Indian people had donated £100,000,000 to the war fund. Moreover, the princes and other people had contributed £2,100,000 to various charities and war funds. Being a Crown Colony India additionally had to bear a debt of £127,800,000. As a result, prices of essential commodities rose sharply; employment opportunities shrank drastically. Hundreds of thousands of soldiers were demobilized and sent home. They were treated with apathy by British officials who did nothing to find them employment or other economic opportunities. Moreover, a general impression was prevalent in India that since Indians had rendered great service to the Empire they would be rewarded with greater self-government. The British response was diametrically opposite. Instead of reforms towards self-government Rowlatt Bill was moved in the Imperial Legislative Council which severely curtailed civil liberties. The Act granted special powers to the government to suppress dissent, curtailing the right of appeal and enabling a committee to set aside the application of the rules of evidence to establish if individuals were guilty of inciting offences against the state. It was in these circumstances that the Indian National Congress launched the anti-Rowlatt Act agitation. By 6 April, the anti-Rowlatt agitation was at its peak in Punjab. The agitations in Lahore were the largest. Mahatma Gandhi, who was on the way to the Punjab, was arrested. On 10 April, two key Punjab Congress leaders, Dr Saifuddin Kitchlew and his colleague Dr Satyapal, were arrested in Amritsar and deported to Kangra Valley. Over 15,000 people gathered and demanded to know the whereabouts of Kitchlew and Satyapal. Lawyers Gurdial Salaria and Maqbool Mohammad tried to keep the crowd calm, but police resorted to firing. Between 20 and 25 people were killed or injured. Armed with lathis, the enraged crowd turned on the British. Four British residents were killed and two were seriously injured; one, missionary Marcella Sherwood, was left for dead. Government property was also looted. 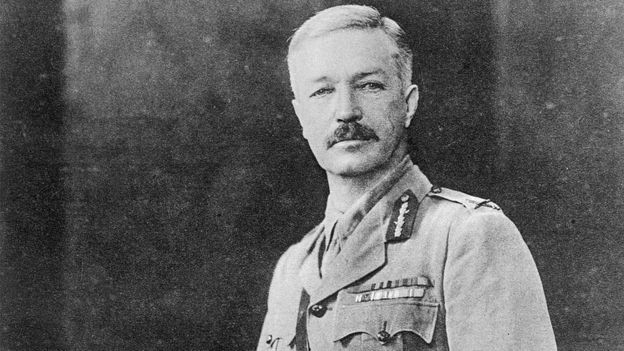 Brigadier-General Reginald Dyer who on the orders of the Punjab Governor Sir Michael O’Dwyer arrived in Amrtisar from Jalandhar with orders to crush any rebellion announced on the morning of 13 April that all assemblies would be “dispersed by force of arms if necessary”. Shortly afterwards, two people walked through the city banging tin cans to announce a rally at 4:30 pm at Jallianwala Bagh. In the afternoon some 20,000 people were in the Jallianwala Bagh. A succession of speeches followed, condemning the Rowlatt Act and the recent incidents of arrests and firings. Dyer marched in with his troops through the narrow exit which connects the Jallianwala Bagh to the Golden Temple. A few minutes before sunset, the first of 1,650 rounds were fired into the crowd. Official figures recorded 379 dead and 1200 wounded, but the real numbers were much higher. News of the Jallianwala Bagh massacre spread like wild fire all over the Punjab and the rest of India. Lahore, Gujranwala, Sheikhupura, Sialkot, Gujrat, Sangla Hill, and Chuharkhana were rocked by popular demonstrations. Hindu and Muslim speakers addressed angry crowds from the pulpit of Badshahi Mosque. All distinctions of religion were forgotten during those days. An military aircraft dropped three bombs on protesting crowds in Gujranwala on 14 and 15 April, following it up with machine-gun fire. Between 19-24 April, Dyer enforced the notorious “crawling order” in Amritsar, forcing all those using the street where Marcella Sherwood was assaulted to pass on all fours, their noses to the ground. In Lahore, college students were ordered to walk up to 20 km in the sun four times a day for roll call before military administrators. At a school in Kasur, the six largest school students were whipped simply for their size. In all, 1,229 people, largely urban artisans and youth, were convicted of involvement in the uprising. Eighteen people were sentenced to death, 23 were transported for life and 58 were flogged on the orders of the Martial Law Commission. Surprisingly, arch imperialist Sir Winston Churchill condemned Dyer’s action as barbarous but on the whole the British establishment rallied around Dyer describing him as a great patriot. The Hunter Commission, which was established to investigate that incident included three Indians Sir Shimanlal Harilal Setalvad, Pandit Jagat Narayan and Sahibzada Sultan Ahmed Khan, but it was dominated by British officials. It concluded that 337 men, 41 boys and a six-week old baby died in the firing. Non-official sources called as many as 1500 dead. The Commission criticized Dyer for using excessive force. A dissenting members’ report which included the Indian members of the Hunter Commission pointed out that no conspiracy to overthrow the government was taking place and therefore Dyer had abused his authority. However, no penal or disciplinary action was imposed on him because the military establishment was opposed to any such action. 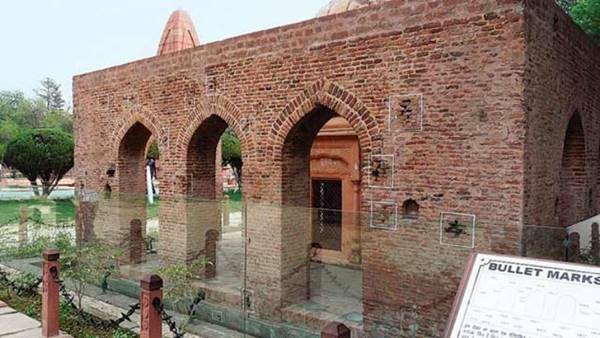 The Jallianwala Bagh was a turning point in the Indian freedom struggle. The reputation and prestige which the British Empire had built as the provider of stability, security and peace for more than 50 years after 1857 received a jolt even when the colonial government succeeded in retaining its control over India for the next 28 years.